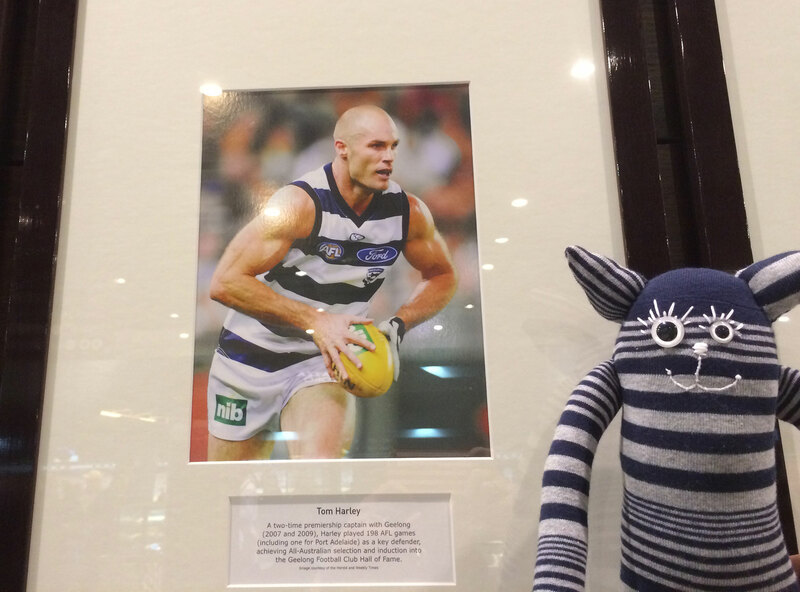 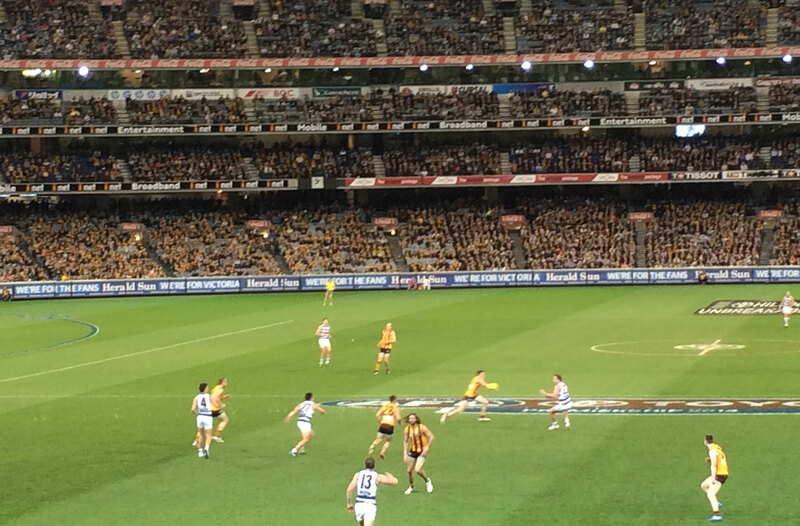 Last night saw us heading into the Melbourne Cricket Ground….aka the MCG….to watch our beloved Cats take on the Hawks with some of my family…and we took Mackie along to his first match! 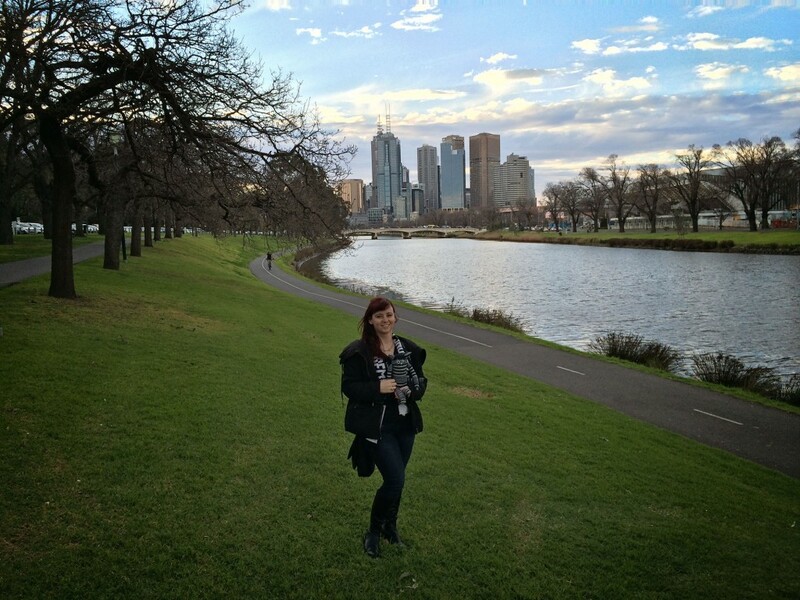 We headed in a bit earlier, and got a park along the Yarra River..so we had a lovely walk to the ground….that is the city behind me for those who don’t know Melbourne! Which also meant we walked past Rod Laver Arena….which was very busy as Lady Gaga was performing…lots of little monsters…if you know what I mean…. 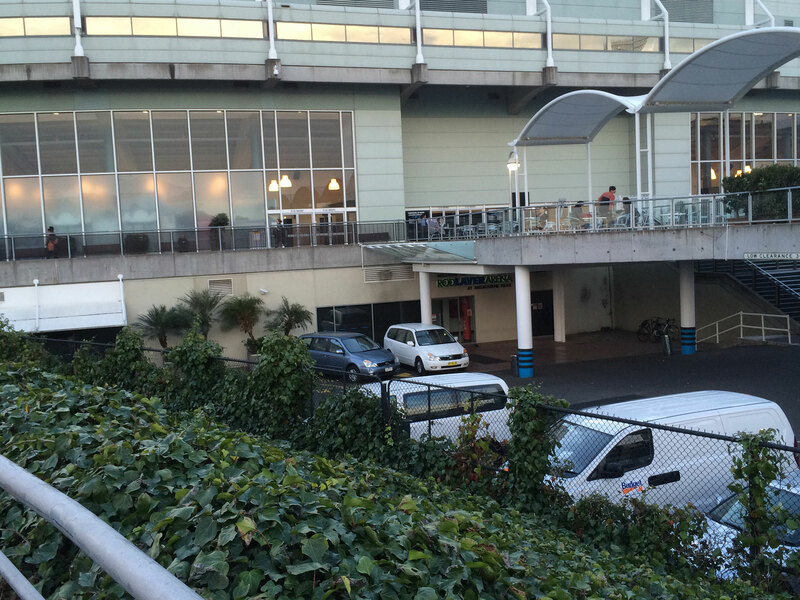 And as we did the behind the scenes tour of Rod Laver, we knew where the stage entrance was…..so this is where the lady herself will have entered the venue….under lots of security and dark tinted windows…wonder what her Green Room requirements are? 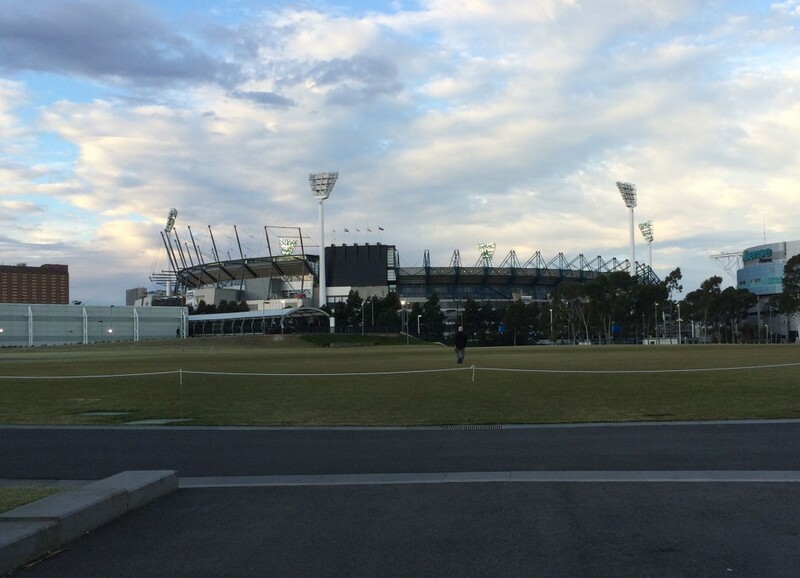 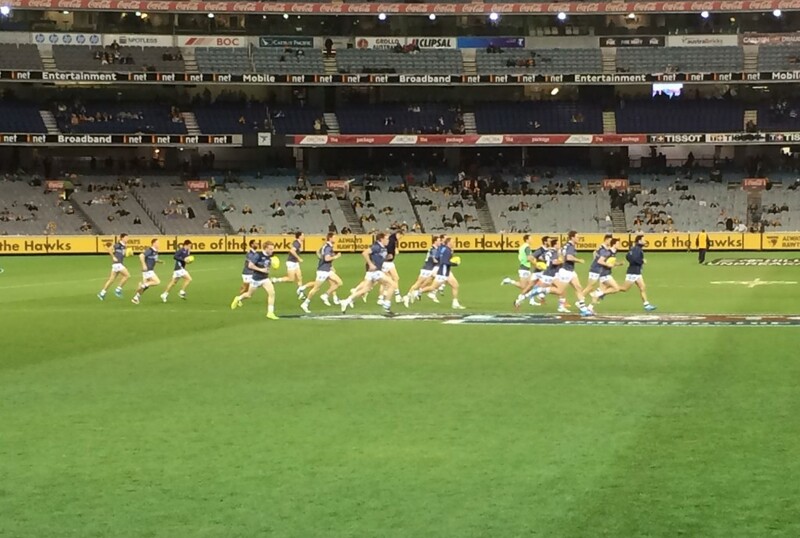 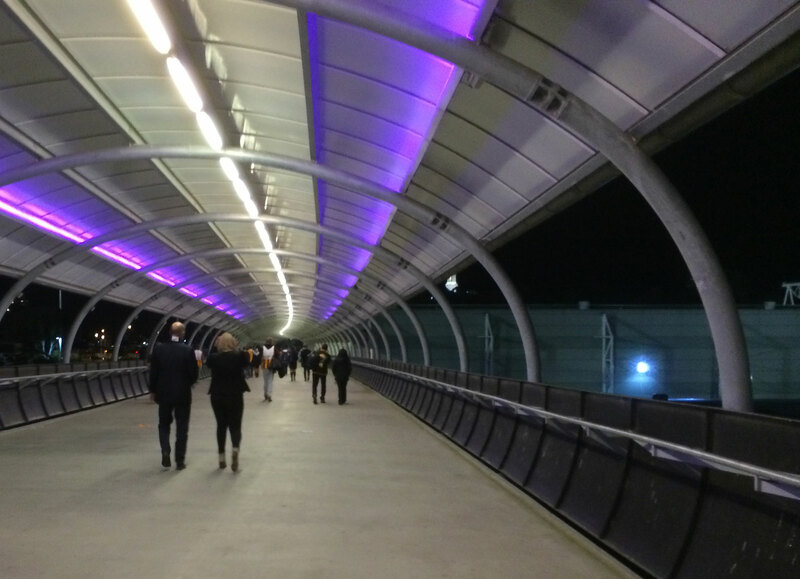 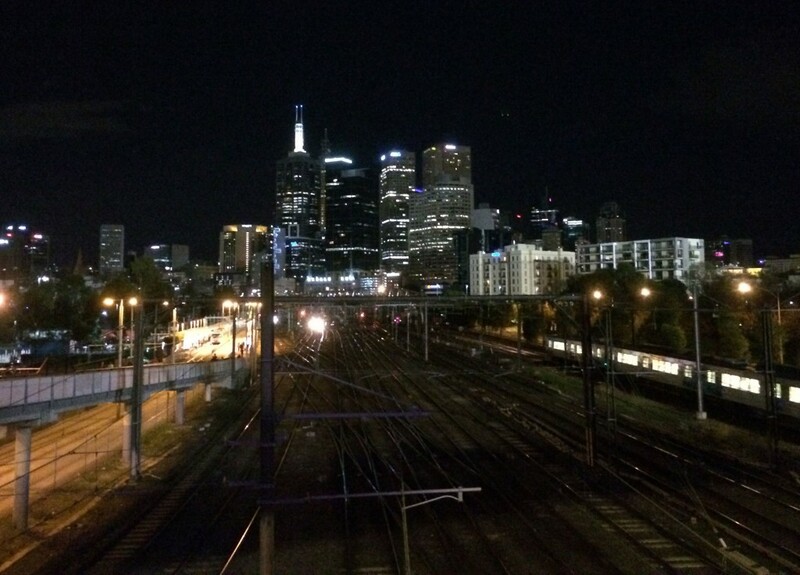 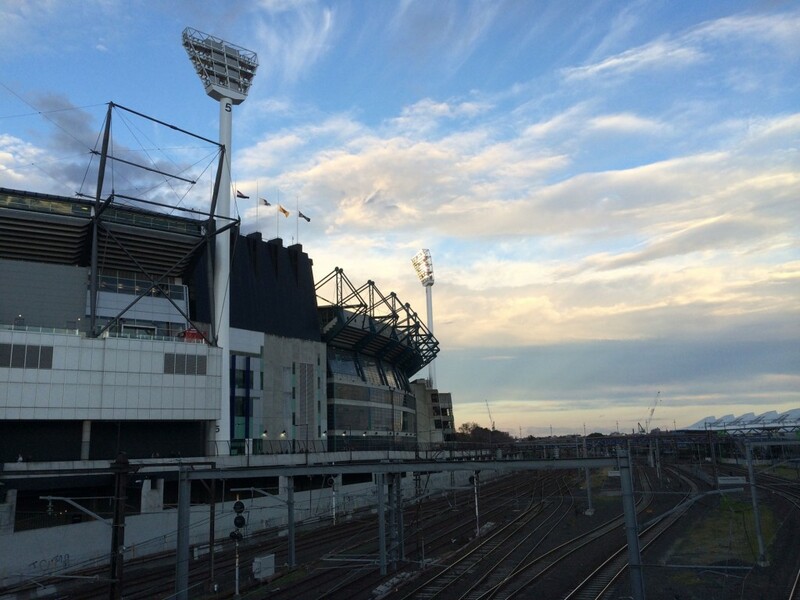 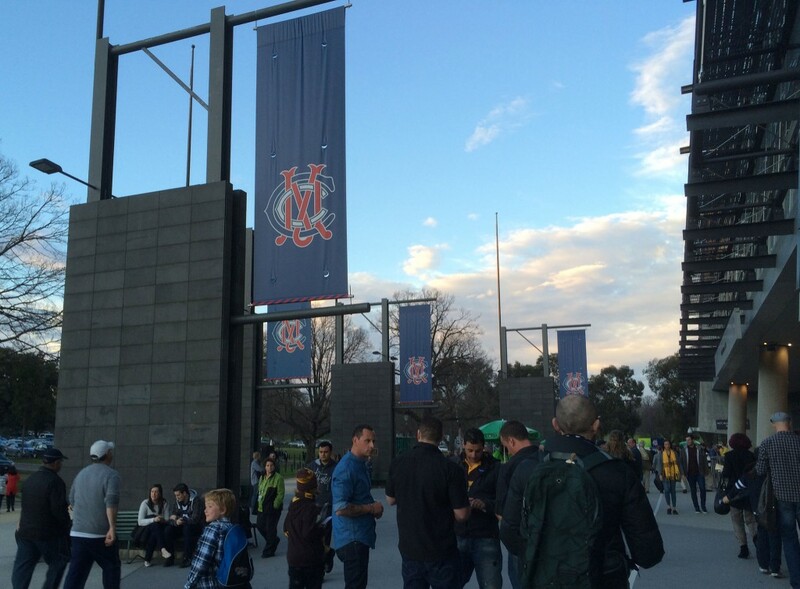 The MCG really does look fabulous…..
And it was a lovely night to be out and about…. 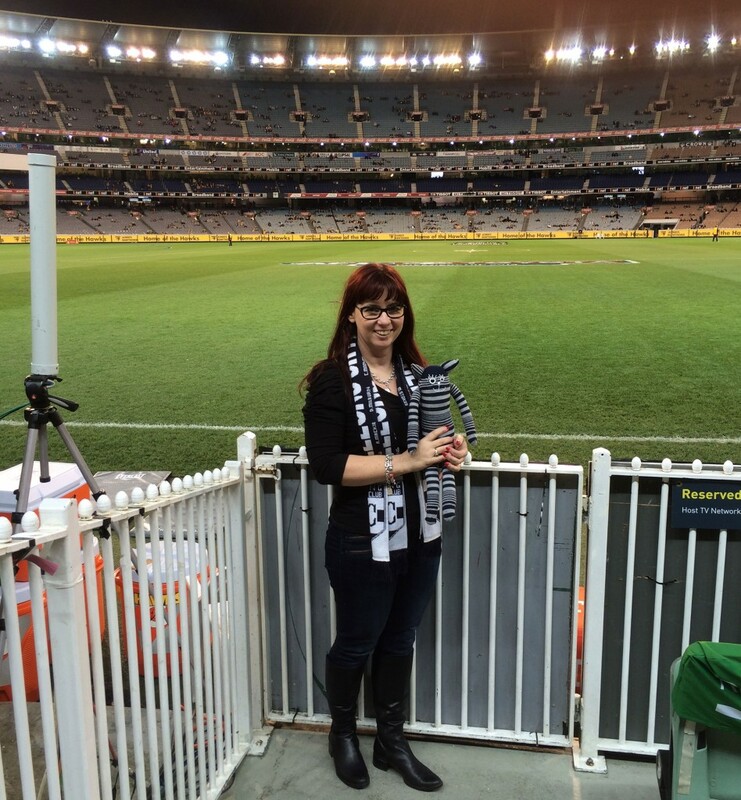 I then wandered down to the fence to get a photo…this is Mackie and I hanging round the bench area/media area…. 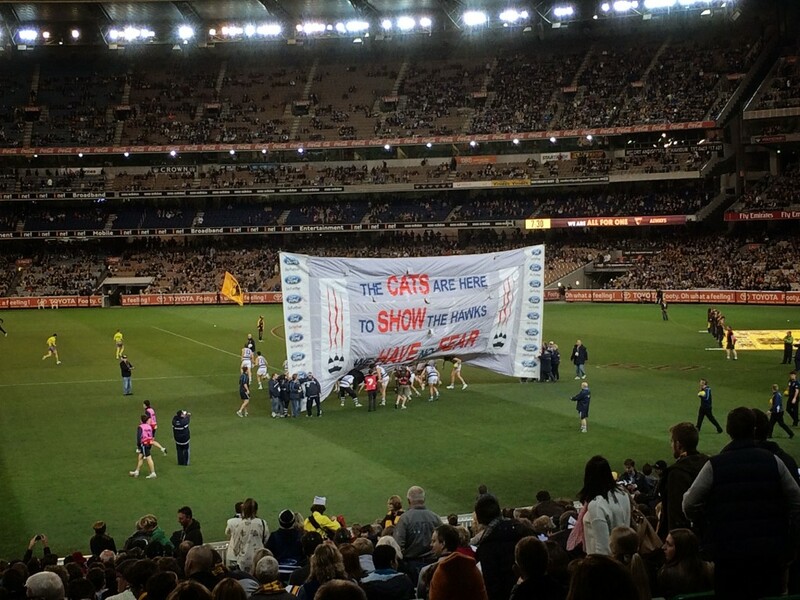 The players ran out through the banner…yes, the Hawks had their banner, but I didn’t take a pict of that…sorry…. 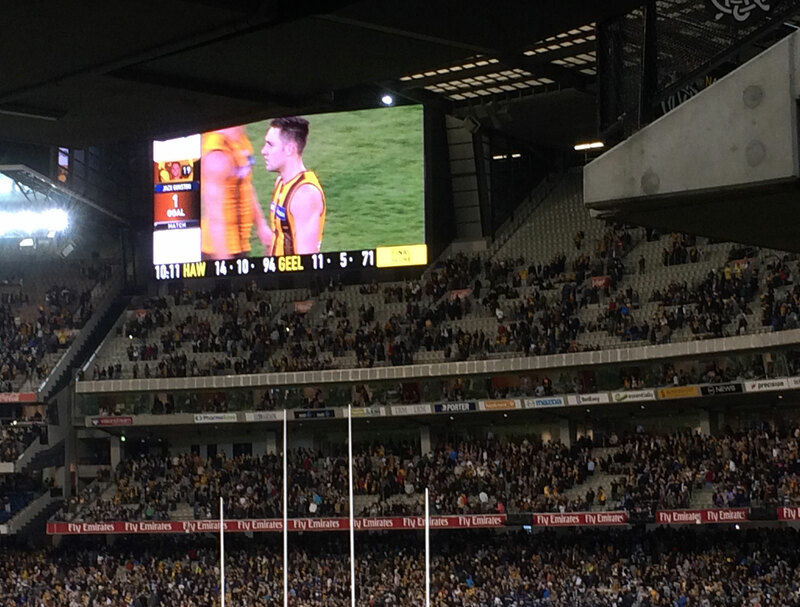 Our Mackie was able to watch the “real” Mackie play….number 4 in the picture below! 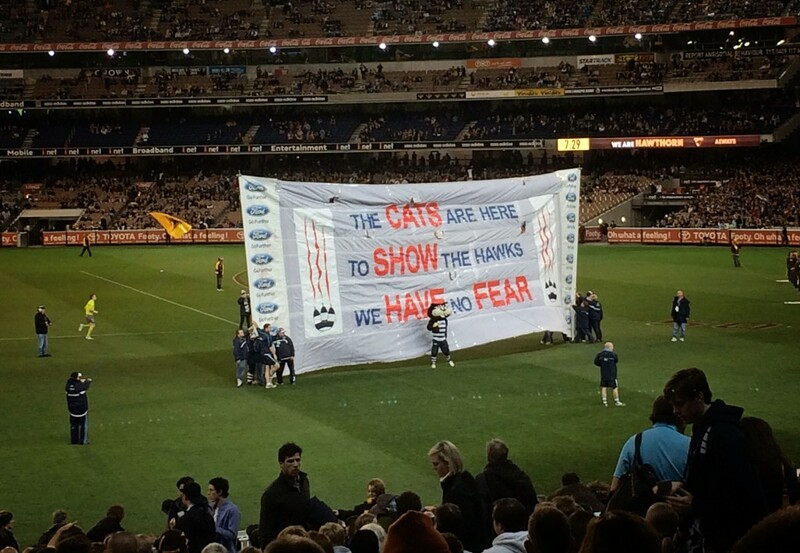 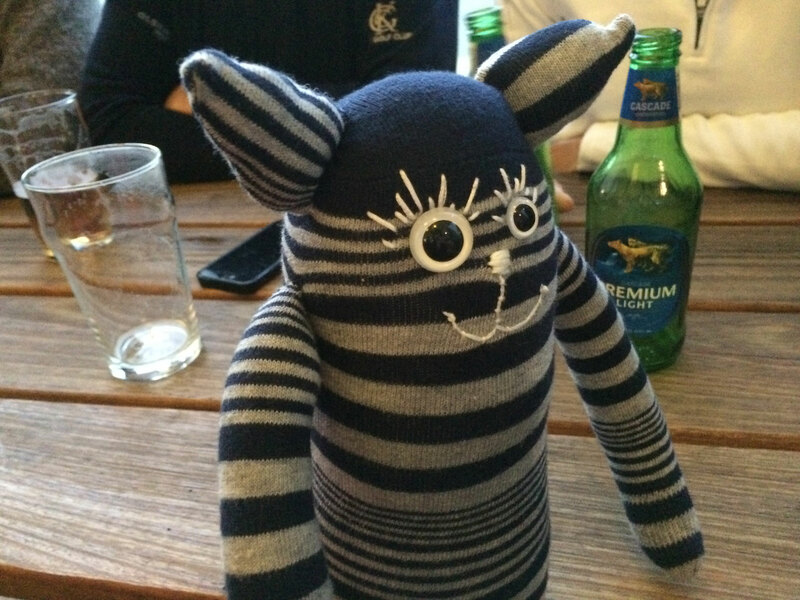 This result has broken my streak of seeing Geelong win at every game I have been to….but no matter, the Cats are in the finals! After waiting a while to let the crowds disperse…always amazes me how quickly the MCG can empty out…we headed back to the car…it was still quite a warm night for this time of year and thankfully, the rain held off. 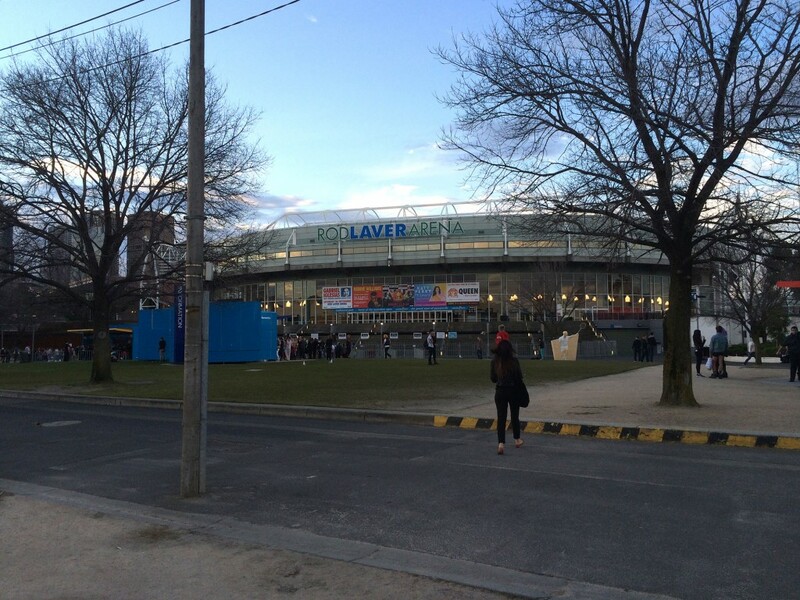 We made it past Rod Laver before all the little monsters escaped….the music was so loud from inside, I expected the roof to start lifting off! We felt a bit sorry for all the parents waiting to pick up their kids from the concert…. but were glad to get back to the car before total chaos hit! 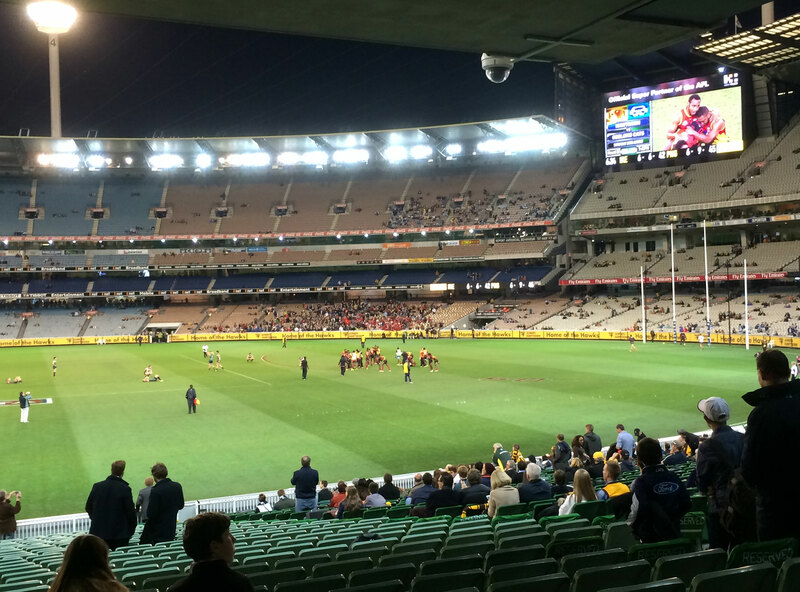 It was a fun night catching up with family and hanging out in the MCC…I even had no one sitting in front of me so had a perfect view! 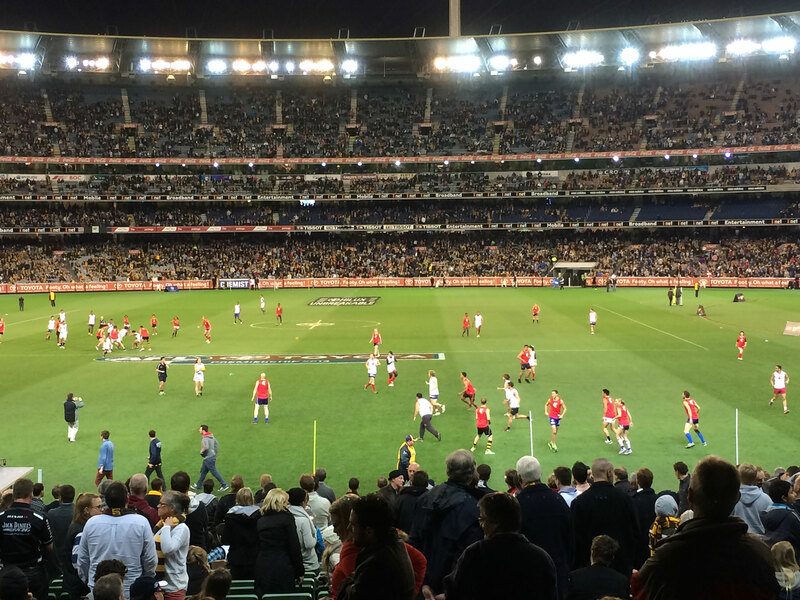 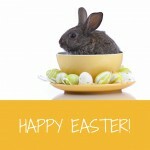 It would have been even better if our team had won..fingers crossed they will do better when the finals start!